In the 1970s, hard rock music was a boys’ club. Girls weren’t supposed to rock. But Ann and Nancy Wilson, two talented, determined sisters from Seattle, smashed the stereotype. The future Rock & Roll Hall of Fame inductees stormed out of the Pacific Northwest in gloriously hard-charging style. Heart’s 1975 album debut, Dreamboat Annie, stars Ann’s operatic vocals in the riff-fueled hits “Magic Man” and “Crazy on You.” The album’s title song shows an exquisitely acoustic side of the sisters. Nonetheless, the musically aggressive Wilsons were at least as influenced by Led Zeppelin as Joni Mitchell. Fast-forwarding through the years to 2017, the sisters kept Heart going but also pursued other projects. There’s the early-’90s Heart spinoff, the Lovemongers; Nancy’s solo album debut, 1999’s Live at McCabe’s Guitar Shop; Nancy’s composing and recording for the films Jerry Maguire and Almost Famous; and Ann’s recordings of movie themes for Footloose (“Almost Paradise”) and Tequila Sunrise (“Surrender to Me”) as well as her solo album debut, 2007’s Hope & Glory. More recently, Ann launched a blues-rock band, The Ann Wilson Thing. And in 2016, Heart released its 16th album, Beautiful Broken, and Live at the Royal Albert Hall with the Royal Philharmonic Orchestra. In 2017, the Wilsons are going solo. Nancy is leading her new band, Roadcase Royale. Ann’s month-long Ann Wilson of Heart tour, opening March 8 in the sisters’ hometown, Seattle, reaches New Orleans on March 19 for a show at the House of Blues. She says her fans can expect some renditions of soul classics, songs from her solo career and Heart classics. Rock music in the 1970s was so male-dominated. Young male musicians and older males in the music business absolutely believed that no woman could match a man in musical skills or talent. Did you and Nancy encounter a great deal of prejudice and obstacles during those years? Oh, yeah. When we started, back when we were trying to get a record deal and just entering the business, it was very much like that. Nancy and I had two choices back then. We could either be folk singers or cheesecake. We didn’t fit into either category, so we started writing our own rules. It became obvious from the get-go that no woman can be the same as a man as a musician. But I think women rockers, women musicians, must create their own universe, one that runs parallel. And when women do that, when they write the new language and sing it, they shine just as much as men, but in their own way. Because you and Nancy have had such great success with Heart—a pioneering example of a female-dominated rock band—have young women told you through the years that you inspired them to follow their own musical dreams? It’s also amazing that some of the other people we meet tell us they really like our stuff, that it influenced them. People I would never expect, like Jerry Cantrell from Alice in Chains. But they listened when they were kids, they listened in their rooms, to music a world apart from what the culture told them they were supposed to like. You’re bringing your show, Ann Wilson of Heart, to the House of Blues on March 19. Heart is mentioned in the tour’s name, but your name comes first. Are you letting people know that the show includes projects you’ve done away from Heart as well as non-Heart music you love? Absolutely. I put ‘Heart’ in it for people who only think of me as the lead singer of Heart. I wanted to come up with a really honest name to let people know that it’s me. I’m going to do a few Heart songs, but it’s not the big monolith of Heart. It’s me stretching out. In 2017, you’re touring and Nancy will tour with her new band, Roadcase Royale. Will this year see an extended break from Heart, in part because you had such a busy 2016 with the band? Yeah. And 2015 and 2014, too. Since about 2006, we’ve been really banging it out with Heart. The band is sort of like a marriage we have going with, not only Nancy and I, but with the people who come hear us. You want to be there for it and keep working on it. But you also have to know when to give it some space. So this is one of those years where she and I take a breather. If and when we come back to Heart, we will do it because we really want to, not because we’re part of some big mechanism that says we have to make our nut. Can tell me about Live at the Royal Albert Hall, which features Heart performing in that legendary London concert hall? It’s a fantastic place to play. Kind of nerve-racking a little bit because it’s so formal. There’s so much tradition there. But once we got up there and got going, and saw that people were standing up for a rock show, it took the pressure out. It was an amazing night. For Heart’s latest album, Beautiful Broken, you re-recorded some songs from the 1980s. Did you think those songs deserved a second shot, because the earlier versions of them don’t do them justice? Exactly. Because of all the crap that was being used in production the ’80s, we felt that some of those songs were never really heard. There were all the new synthesizers and tech then. Everyone wanted to use it all at once. So sometimes the songs faded into obscurity beneath all that gloss. We tried to bring them out in the light. For your Ann Wilson of Heart tour, you’re singing some classic soul songs? I’m doing a couple of them. There’s an Aretha Franklin song, ‘Ain’t No Way.’ Just pure, old-school singing. No frills, just guts. Out of the church. The show is a mix of stuff, with that included. The soul songs in your solo show are a bit of a surprise, because people think of Heart and the Wilson sisters as rockers. In your formative years, were you a fan of the soul music from Detroit and Memphis? That’s the stuff I actually learned from. I didn’t start singing rock until I was in my mid-twenties. So, I was into Ann Peebles, Aretha (Franklin), the Supremes, Martha and the Vandellas, that kind of singing. I’m real comfortable with that. Did you love looking for some different material to perform for your new solo tour, maybe finding favorites you always wanted to sing? Oh, let me tell you. That is so much fun. I don’t mean any disrespect to any of the old Heart songs that people love, but it’s fun to get outside of that box. I just stretch out, try stuff. Especially to a deeper level of messages in the lyrics, that Heart never really achieved. Cool lyrics. Tender, human lyrics. Meaningful for the times. Heart lyrics tend to be—they were written a long time ago. “Magic Man” was written when I was 22. So my perspective has changed a lot since then. It’s cool to find some things that really represent how I feel now. Can you name some of the other songs in the show? ‘For What’s It’s Worth,’ ‘Won’t Get Fooled Again,’ ‘Don’t Give Up.’ And they are a blast to sing and play. You just named songs originally recorded by Buffalo Springfield, the Who and Peter Gabriel. Were they important songs to you when they were originally released? They were. But they’re more important to me now, because of their timeless quality. And because of what the words are saying, the songs may as well have been written yesterday. I have sort of a bully pulpit now to come out and sing some stuff. Stephen Stills wrote “For What It’s Worth” in 1966 as a response to the Vietnam War and an anti-curfew protest staged by young people on the Sunset Strip. When it was written, it was anti–Vietnam War and police brutality and all of that. The man and the pig against the hippies. But it has a much broader meaning now. It’s talking about how we’re living in a world of illusion. But if you turn over the rock, like has just happened after this last election, you see that things really aren’t as politically correct as you thought. There’s still misogyny, still all this stuff that’s so easy to believe doesn’t exist—until you see it does. So ‘For What It’s Worth’ is just saying, ‘Hey, can you take a look around and see what’s really going go?’ That’s the first step to actually changing things, getting past the mudslinging. In the late ’80s, you and Nancy built a studio for Heart in Seattle. But then other bands in Seattle took the place over. We built it so we could record in a world-class studio without having to go to L.A. or New York. So we could just be at home and go downtown to a studio that had everything we needed. We’d worked on it really hard. It was all fresh and pristine in there. And then Alice In Chains and Soundgarden and Pearl Jam and a few of the other ones came in, one after the other. They had food fights in there. They burned cigarette holes in the board. So we just let it be a rock ‘n’ roll place. Neil Young, tons of people came there after that. Those were crazy days. Grunge was huge in Seattle. And there were all these people from L.A. and New York walking around Seattle in plaid shirts and combat boots, trying to be grunge people. During the years that you’ve been coming to New Orleans—to perform with Heart and as a solo visitor—have you enjoyed the city’s music and culture? Yeah. I’ve been there myself quite a bit, outside of the band. And I’ve been there with Nancy, with the band, 8 or 10 times, I guess, to play. New Orleans is definitely a musical, spiritual center. 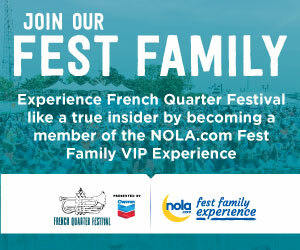 Are you a fan of music from New Orleans? There’s a rich mixture of genres that exists there, loud and proud. I really like walking around and going to clubs. When did you start visiting New Orleans on your own? Way back in the ’80s. First as a tourist. After a while that really got old. I wanted to see what the city really was, to see where the heart and soul of the city was. I met a few people and started going to places to eat dinner, little holes in the walls. And going to people’s houses. They’d cook and we’d play and talk. I feel like I have a connection to New Orleans from, maybe, some other time. I’m comfortable there. 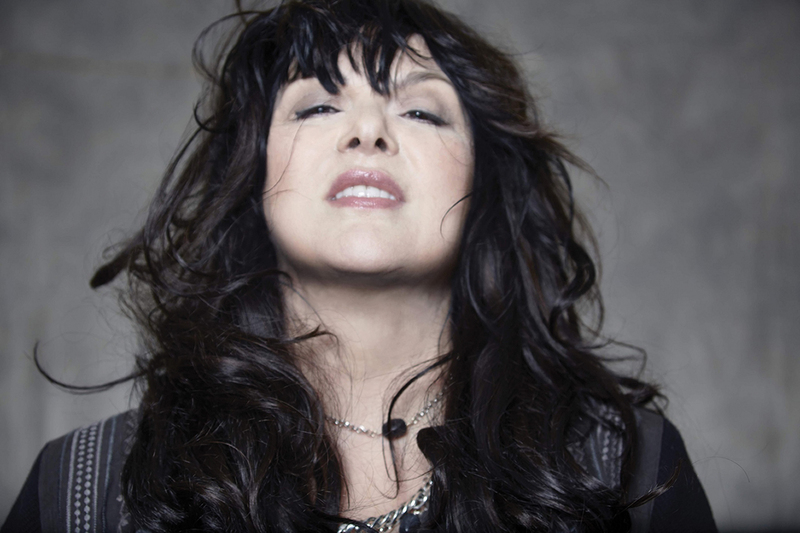 The Ann Wilson of Heart tour comes to the House of Blues on March 19.